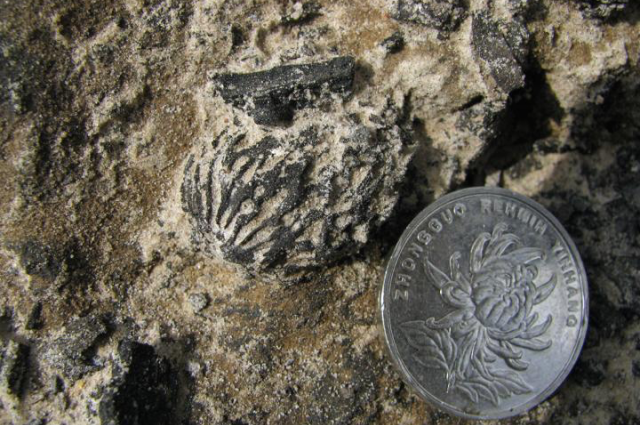 Scientists have discovered fossilized peach pits in southwest China. The fossil endosperms date to more than 2.5 million years ago ― ancient pits resembling pits from today's domesticated peaches. Prehistoric ecological systems are imagined and hypothesized from terrestrial and aquatic plant fossils by paleobotanists. From the scientific disciplines of paleobotany and paleobiology, it's possible to explore the evolutionary history and interconnectedness of living organisms. Earth is a vast cemetery where the rocks are tombstones on which the buried dead have written their own epitaphs. Macrofossils, microfossils, trace fossils, and DNA and RNA samples are studied for clues and connections to present day organisms. This finding suggests that peaches developed through natural selection long before homo sapiens domesticated peaches. The domestication of the peach likely occurred some time after homo sapiens appeared some 200,000 years ago. It's plausible that extinct hominid species like homo erectus, whose earliest fossil record dates back to about 1.9 million years ago, might have eaten peaches similar to the ones we eat today. Eat a paleo peach: First fossil peaches discovered in southwest China, Science Daily, 1 December 2015. Home Girls: A Black Feminist Anthology, by Barbara Smith, et. al., Rutgers University Press 2000. World's Oldest Fossil Peaches Found In China, by Janet Fang, 3 December 2015.